Note: The competition deadline has been pushed back by a couple of days in light of technical issues people have encountered when attempting to submit their entries. 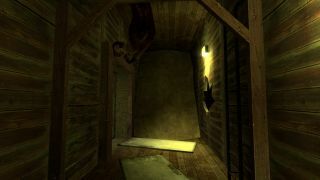 At the start of 2019, Phillip Marlowe of the Half-Life site Run Think Shoot Live announced that he would be stepping away from the site and gaming in general. While the site is by no means dead, one thing that will become far less frequent are the Ville challanges. Themed challenges in which mappers would have to create a singleplayer map within a matter of weeks. In the first of what may become many mini-competitions here on TWHL, I intend to pick up the torch. Not only will this benefit people looking to stretch their mapping muscles, it will also provide a (hopefully) wide new range of singleplayer content for Valve's games for the community to enjoy. This is very much an experiment. It may have issues, it might need certain aspects to be ironed out in future competitions, it might even fail completely. Your goal is to make a singleplayer map in any of the official Valve games that focuses on "ascending." This word can be interpreted in many different ways and that is absolutely fine. So long as your map is based around the idea of ascension. Maybe you will challenge the player with a difficult climb. Perhaps they must navigate a flooded labyrinth in order to reach the open air. Maybe you have greater plans for the player want to send them skyward... or beyond? Or perhaps your map will be much more of the spiritual persuasion. So long as your entry works with any Goldsource or Source game on Steam and does not overwrite any existing files, you can include any custom content you desire, with the exception of custom code. However, the entries will be reviewed purely on the map and its relevance to the theme. Custom models and flashy new effects might look great, but don't waste too much of what little time you have on them. Note: Naturally, any custom content included that you have not created yourself should be properly credited in your readme.txt file. 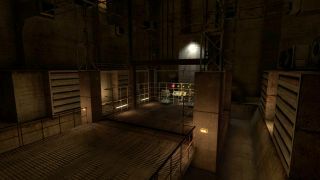 Think of it this way: You'd be better off making map set in Black Mesa, filled with standard Half-Life assets that sees the player shoot from a subterranean tunnel to the stratosphere. This would be received much better than a map in a completely new world of your own imagining where the player climbs a single flight of stairs. Entries close on March 3rd. Good luck! Post any questions, comments, or screenshots to the official forum thread. 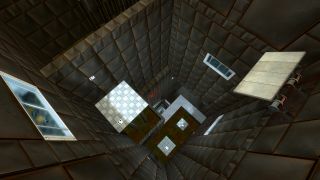 A deserving winner, BoxFigs delivers an Aperture Science test chamber with a clear emphasis on reaching the top. 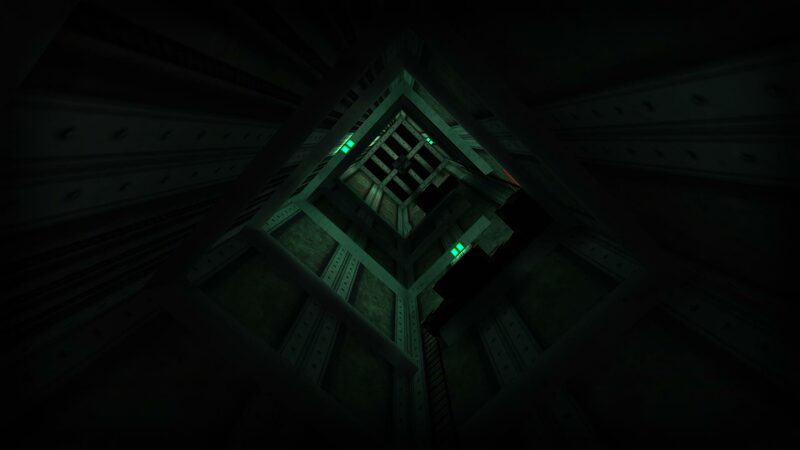 From the moment you step into the main shaft, you can see the honestly daunting task ahead of you. This was by far the longest and most polished of the entries, and really nailed the buzz you would get from Portal's "Aha!" moments. The challenge drops off right at the end, with a little more focus on fast reactions, but the theme of ascending is maintained right to the very end. Fantastic work. A solid entry from Instant Mix, Crystalline tasks the player with powering an elevator using combine battery plug thingamajigs. While only going up two levels, the main goal is indeed to ascend in the elevator. The game play is not your standard Half-Life 2 affair, with a lot more focus on precision timing and jumping puzzles. And boy do they lay the challenge on thick. It brings to mind the kind of thing you would see in Hazardous Course, and the desk gnawing frustration that goes along with it. Upmine Struggle by CPripyatUit is more of a traditional entry, featuring the kind of game play that you would expect to see in a custom map or mod. Some new dialogue sets the mood and gives the location an actual story, driving the player on. Sadly, the entry is also marred by a number of oddities. Some wooden boards break while other identical looking boards do not. There is an unusually resilient padlock that can survive multiple blows from a crowbar but is broken by a single bullet. Regardless, the map certainly features plenty of action throughout and even has the player fight off an onslaught of combine soldiers in the finale. Processed in a uniquely whimsical 639 milliseconds.